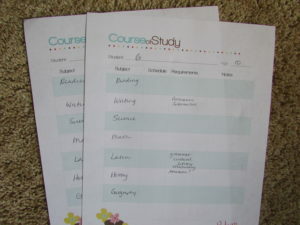 My homeschool was on life support, but I saved it with a homeschool planner. Pam Barnhill’s Plan Your Year doesn’t just build a schedule. It takes you to the heart and soul of your homeschool and leads you to a place of rest. 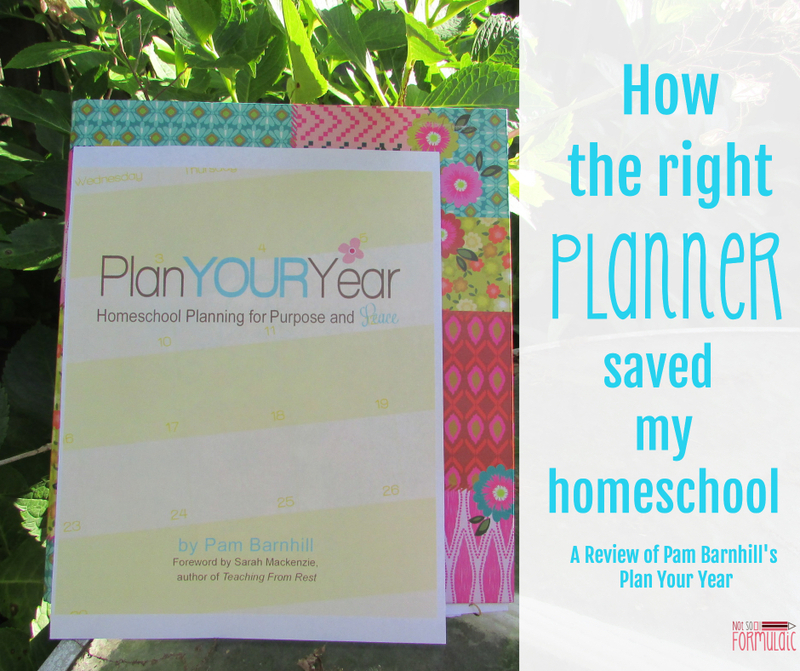 This post contains affiliate links and a review of the homeschool planner Plan Your Year. I was provided with a copy for review and compensated for my time. All opinions are my own. We were sitting at the dining room table, school books strewn across the well-worn surface. B stared at the broken pencil in front of her, its shards littering her workbook page like newly fallen snow. G sniffed. Her brother sneezed. I bit my lip and waited. “NO.” The broken pencil flew across the room. A chair toppled over and my baby was gone, up the stairs in a flurry of sobs. I put my head on the table and cried. Four years ago if you had asked me why I homeschool, I could have given you a perfect answer. Now I can barely put two coherent sentences together, never mind explain our educational choices in two minutes or less. This year has been tough. We’ve been overscheduled, overburdened, and overanxious to the extreme. My six year old, God bless her, became the proverbial canary in the coal mine: her violent outbursts were an indicator of the chaos our life had become. By springtime, homeschooling seemed doomed. I stored two new numbers in my phone: the neighborhood elementary and a nearby Catholic school. Every so often I’d pull up the info and squint awkwardly at the numbers on the screen, my finger hovering over the call button. I’d hear my children in the next room and put the phone away. Enter Pam Barnhill of Everyday Snapshots. Former educator, veteran homeschooler, and blogger/podcaster extraordinaire, Pam is a beloved homeschool authority with a voice as clear and comforting as southern sweet tea. 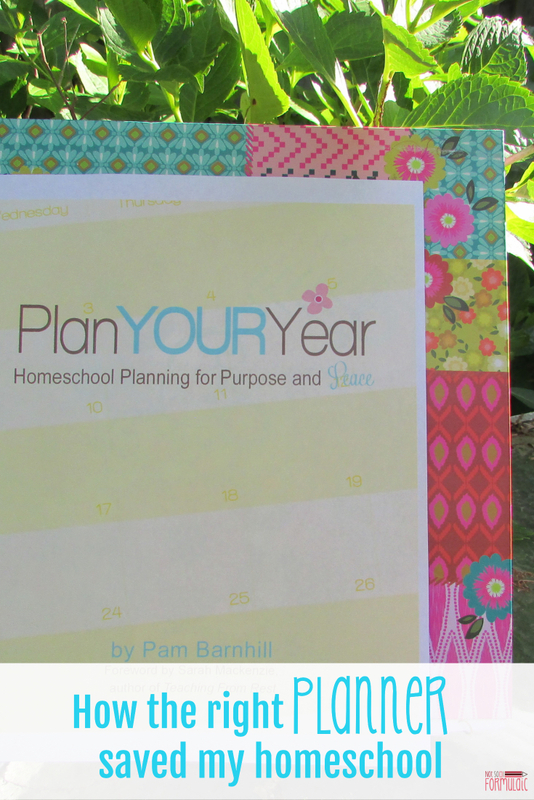 Pam offers a variety of resources on her site, but my personal favorite is Plan Your Year – the most supportive, most informative homeschool planner I have ever encountered. 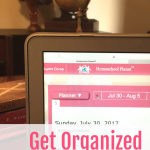 Plan Your Year is no ordinary homeschool planner. 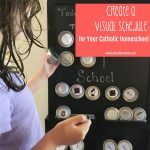 While the kit does contain a variety of schedule templates, calendars, lists, and the like, Pam includes a 78 page guide book to take you to the heart of your homeschool. No curriculum, or guideline is as important as your family’s peace. Pam gives you permission to put your family first, then helps you find a system that will work for you. Reading Plan Your Year was eye opening. 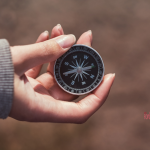 Pam’s gentle, encouraging manner helped me recognize the mistakes and missteps which had led to our current situation, but not in such a way that I felt guilty or ashamed. Who do I want my children to become? What skills do I want them to carry into adulthood? I know why I’m homeschooling my oldest at least, but what about the other two lives I’ve been given? 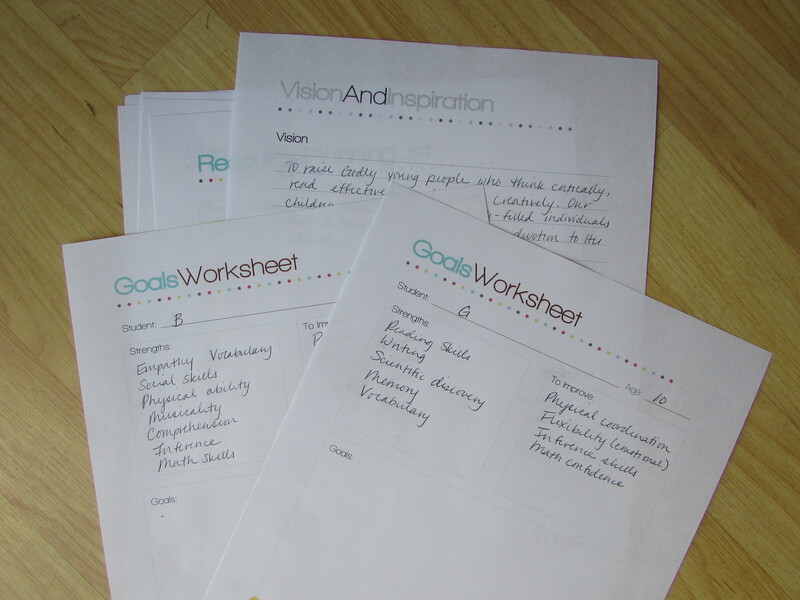 As Pam says, creating a vision provides a litmus test for every choice and decision I make. If something doesn’t fit the vision I have for my children, it’s not an activity or book worth pursuing. When we first started homeschooling, I enrolled my oldest in a classical hybrid program. She was in “school” one day a week, and at the time the option worked well. Four years later, though, the system no longer works. Neither girl has enjoyed the classroom environment, and the curriculum itself doesn’t jive with what they want to learn. 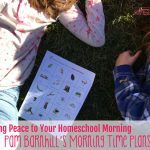 In Plan Your Year, Pam writes, “The best homeschool curriculum is the one that will get done.” In our case, it’s only going to get done if it fits our family’s interests. Repeat after me: I do not have to buy all of our resources at once. Really – it can wait. Thanks to Pam, I don’t feel the immense pressure to buy, buy, buy. More doesn’t always mean better, and “right now” isn’t always right. Fortunately, Pam provides a variety of resources and suggestions for determining what and when to buy. For the first time in the history of homeschooling, I feel like I have space to breathe. I am not an organized person by nature, but I can’t stand clutter and chaos. This creates quite a conundrum in our homeschool: not only can we never find what we need; one (or several) of us usually blows her top over the mess. Pam’s suggestions for organization are real life. 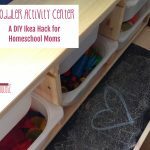 Like her ideas for curriculum and routines, they’re designed to work with your family, providing ownership and resulting in relaxation and joy. If everyone knows where everything is, there’s no struggle to get going in the morning. There’s also less stress when school is over, and that’s a big win for everyone. Of course I know the kids aren’t going to learn if the house is full of stress and anxiety. But that doesn’t mean I’d created an environment where joy was our number one goal. Every idea Pam proposes encourages learning from a place of rest. 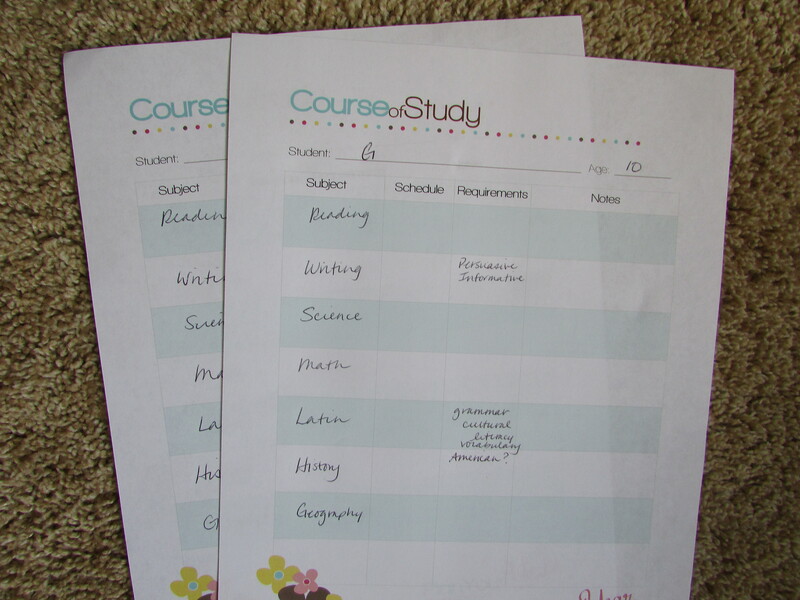 Pam’s homeschool planner emphasizes intentionality. Even the forms she includes in the kit have a precise purpose, from creation of your vision, goals, and booklists to daily tasks and recording. But Pam makes it clear repeatedly that these documents should be used in a way that works. If a particular form or block isn’t relevant, you don’t have to force it into your routine. I needed someone to give me permission to build a curriculum around my family. I needed someone who understood me and my perfectionist educator tendencies. I needed someone who could provide the gentle guidance to which my stubborn will concedes. Pam has helped me plan my year. We’re out of chaos and back to a place of rest. Homeschooling Isn’t For Everyone, and You Know What? That’s Totally Okay. I wish you all the best, Holley, and I’ll keep you in my prayers!